Five outstanding individuals, and perhaps one of the most celebrated families in all of hockey comprise the 2017 Induction Class for the Alberta Hockey Hall of Fame (AHHF). The Class of 2017 was officially inducted into the Alberta Hockey Hall of Fame on July 23 in Canmore. When you mention Mel Davidson’s name, the topic is likely to be about the growth and development of women’s hockey in Canada and around the world. Mel is probably best known for her work behind the bench of the Canadian Women’s national team that won Olympic gold medals in 2002 (Salt Lake City, Assistant Coach), 2006 (Torino, Head Coach), and 2010 (Vancouver, Head Coach). She was inducted into the Canadian Olympic Hall of Fame in 2011. Her coaching resume also includes four gold medals (2007, 2001, 2000, 1994) and two silver medals (2009, 2005) at the IIHF World Championships; silver at the IIHF World Women’s U18 championships (2008); and five golds and a silver at the 3 Nations/ 4 Nations Cup. The native of Coronation, Mel got her start in coaching in Oyen, coaching her brother’s team. She got involved in women’s hockey in 1989, and was a member, coach and mentor with Team Alberta for the 1991, 1995 and 1999 Canada Winter Games. She was Head Coach for two American collegiate varsity women’s programs: Connecticut College (1997-2000) and Cornell University (2003-06). She has also been an assistant coach in the Alberta Junior Hockey League (2006-09, 2010-11), and the Edmonton Chimos (1996-97), when they won the gold medal at the Esso Women’s National Championships. Mel is a certified NCCP Level 4 hockey coach and graduate of the National Coaching Institute. She is also a certified NCCP coach in baseball, softball and volleyball. 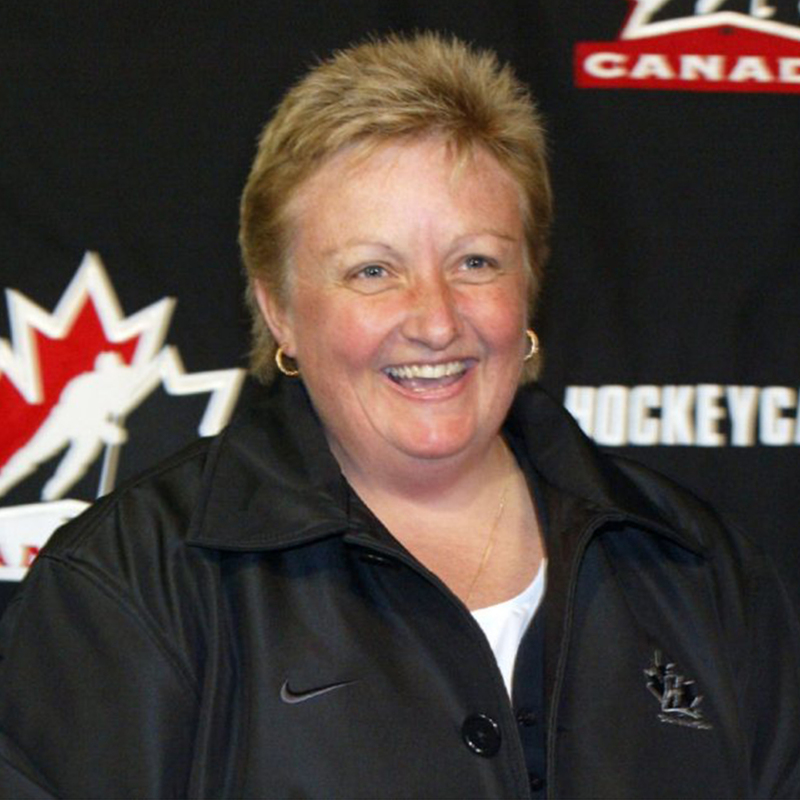 Mell was named Hockey Canada’s general manager of national women’s team programs in July 2013. Bill Hay arguably enjoyed a hall of fame career at the junior, collegiate and professional levels, with a number of significant achievements over his 16 years on the ice. But when his accomplishments and work off-the-ice are included, Bill Hay definitely has had a major impact on the sport of hockey – in Alberta, across Canada and around the world. On the ice, the native of Lumsden, SK, started his playing career with the Regina Pats and the University of Saskatchewan. He also played three seasons at Colorado College, where he was named an NCAA West All-American, a league all-star, and he helped the Tigers to a national championship, while also earning a Geology degree. The entirety of Bill’s eight-year National Hockey League career (1959-67) was played with the Chicago Blackhawks, and was highlighted by a Stanley Cup championship in 1960-61. Playing on the “Million-Dollar Line” with Bobby Hull and Murray Balfour, Bill earned the Calder Trophy as the NHL’s top rookie (1959-60), tallying 55 points. Overall, Bill totaled 386 regular season points (including 113 goals) in 506 NHL games, and added another 36 points in the playoffs. After the 1967 season, Bill retired to work in the oil industry. But that was just the prelude the off-the-ice portion of his hockey career. In 1980, he joined the selection committee of the Hockey Hall of Fame (HHOF), serving from 1980-1997. He was a member of the HHOF’s board of directors (1995-2013), including 15 years as Chair and CEO. During that time, he oversaw the planning and development of the D.K. ‘Doc’ Seaman Hockey Resource Centre in 2009, was an active member of the International Ice Hockey Federation’s ad hoc committee (2008-12), and was instrumental in expanding the HHOF to include female and international players. Bill was enshrined in the HHOF in 2015, joining his father Charles. Charles was a former president of Hockey Canada and the key negotiator for Canada in the creation of the 1972 Canada/Russia series. Bill joined his father as a President and COO of Hockey Canada in 1998, and helped spearhead the merging of Hockey Canada with the CAHA, forming the Canadian Hockey Association. For hockey fans in Alberta, Bill played a significant role in securing an NHL franchise for Calgary. He was part of the group that secured the move of the Atlanta Flames to Calgary in 1980. Bill later became part-owner and, in 1991, president and CEO of the Flames, a position he held until he joined Hockey Canada. Bill’s involvement in hockey continues today. In 2016, Hockey Canada and the Canadian Hockey League announced the Bill Hay Future Leaders Internship Program for university or college graduates pursuing a career in sports administration, program development, kinesiology, marketing, or communications. The program provides interns with valuable, hands-on experience to help them launch their careers in sport. Few have matched the legacy left by Tony Kollman on amateur hockey in Alberta in the 1960s and 70s. In another era, he might have been a star at the professional level. For Tony, his profession as a hospital administrator meant that his hockey skills would be largely on display in Alberta, with appearances at the national and international levels. The native of Major, SK, Tony’s career started in Saskatchewan with Regina (SJHL) and Kerrobert (SIHL) before moving to Alberta. 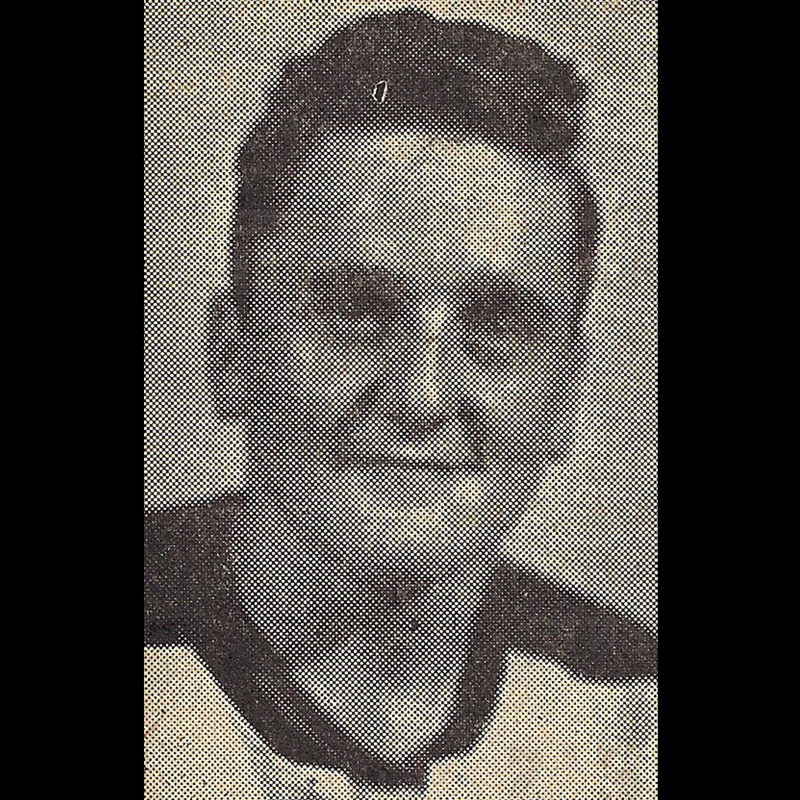 He played one year with the Hanna Hornets (MVP, leading scorer) before moving to the Drumheller Miners for what would be an 11-year career (1959-60 to 1970-71). His playing career finished with two seasons with the Senior A Calgary Stampeders. It was during that prosperous decade with Drumheller that Kollman starred. Drumheller won four Alberta Senior Hockey championships. The capstone was the 1965-66 season, when Drumheller won the Allan Cup (with Tony leading the team in scoring), returning the trophy to Alberta for the first time in 18 years. Then, in 1966-67, the team participated in a European Tour and the Ahearne Cup in Sweden. During his career in Drumheller, he was named Team MVP nine times, led the team in total points eight times, and penalty minutes six times. Tony also was the most sought-after player in the 1960s by other teams in Alberta looking to bolster their ranks in the playoffs or overseas tours. He was an addition to teams such as the Olds Elks (1960-61 Western Canadian Intermediate A champions), and Lacombe Rockets (Ahearne Cup, European tour, 1964-65). Tony did get his chance to play at the professional level, joining the Salt Lake Golden Eagles (5 games, 1970-71), and playing a key role with the Roanoke Valley Rebels (1972-73), a farm team of the new World Hockey Association’s Philadelphia Blazers. Tony played the final nine games of the regular season, and 12 playoff games, totaling 27 points for Roanoke Valley. But his real profession came calling, and he had to return to Alberta with the league final tied 1-1. Roanoke lost in five games. Not only was Tony a star player, after his major playing days were over he stayed involved in hockey and helped introduce Junior A hockey to east-central Alberta, as co-owner of the Drumheller Falcons. The Falcons operated from 1971-82. Perry Pearn was a national champion as a player. But it is through his continuing role as a coach for more than four decades that he made his biggest impact on the Alberta hockey community. As a player, the Stettler native was a member of the 1970-71 Centennial Cup champion Red Deer Rustlers (AHHF Class of 2010). He moved to Edmonton to continue his education, graduating from the University of Alberta with a degree in Physical Education in 1974, and a professional diploma in Education in 1975. It is with this background as a teacher and athlete that Perry has accumulated an almost unparalleled list of coaching achievements. He started in the Alberta Colleges Athletic Conference (ACAC), and moved on to coach in Switzerland, the Western Hockey League, the National Hockey League (NHL), and with the Canadian National Team program with the U18, Junior, and National Men’s teams, and the Spengler Cup. One of five men’s varsity post-secondary hockey head coaches in North America to lead a team to a true perfect season (1984-85 Ooks); that Ooks squad is part of the 2017 Induction Class for the Alberta Sports Hall of Fame. In 1986, Perry was named an Assistant Coach with Canada’s National Under 18 team, and then Head Coach in 1987. He was an Assistant Coach with Team Canada gold medalists at the World Junior Hockey Championships in 1990 and 1991, and then added a gold medal as the team’s Head Coach in 1993. He also coached Team Canada to a bronze medal at the 1992 Spengler Cup. In 1995, Perry embarked on an NHL coaching career that continued through the 2016-17 season. He has been an assistant coach with Winnipeg Jets (1995-96, 2012-14), Ottawa Senators (1996-2004), New York Rangers (2004-09), Montreal Canadiens (2009-11) and Vancouver Canucks (2014-17). In addition to his work behind the bench, Perry has played a significant role in training and developing coaches. In the 1980s, he was involved in the player development system that would later be known as the Program of Excellence, and was head instructor and on-ice coordinator at Hockey Alberta Under-17 development camps. Perry also has been honoured with the Alberta Sport Recreation, Parks and Wildlife Coaching Recognition Award (1987), induction to the Edmonton Sports Hall of Fame (1995) and the NAIT Athletics Wall of Fame (2002), and as a Hockey Alberta Centennial Award honoree (2007). 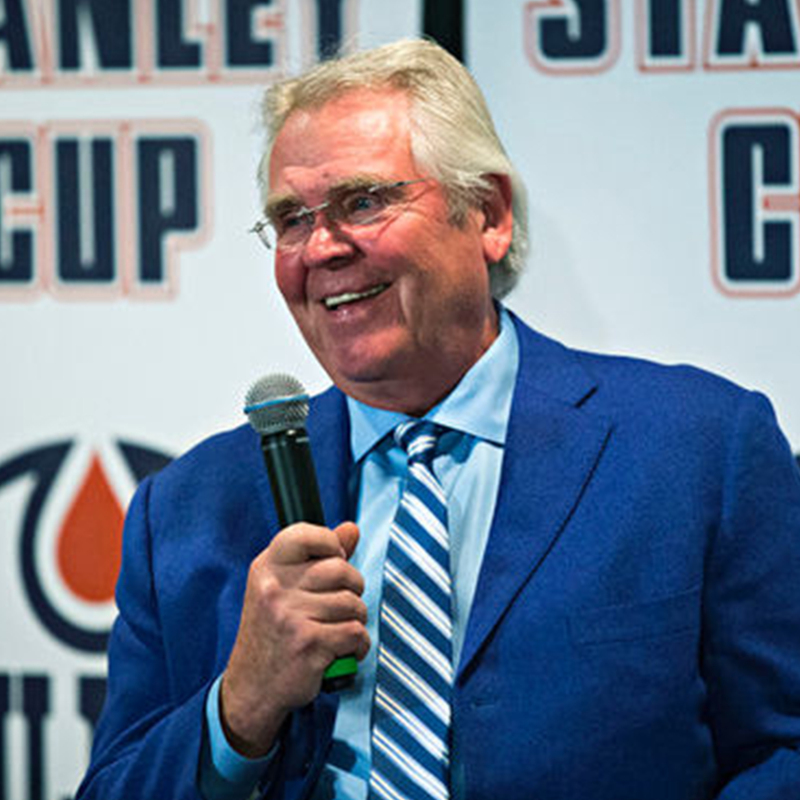 With 18 games remaining in the 1976-77 World Hockey Association schedule, Glen Sather assumed the dual role of player-coach with the Edmonton Oilers – a rather unheralded start to one of the most successful careers as a head coach, general manager and president in the National Hockey League. 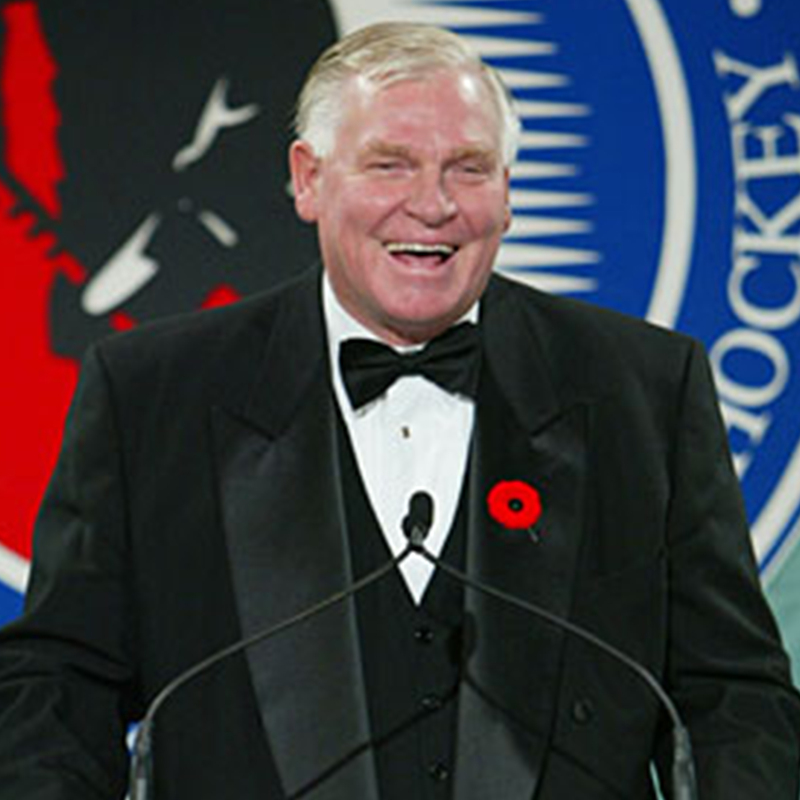 To date, Glen has been enshrined in the Hockey Hall of Fame (1997), the Alberta Sports Hall of Fame (1996), and the World Hockey Association Hall of Fame (2010), and lifted to the “Banners of Greatness” with the Oilers (2015). 193 total points in the NHL, including 80 goals. 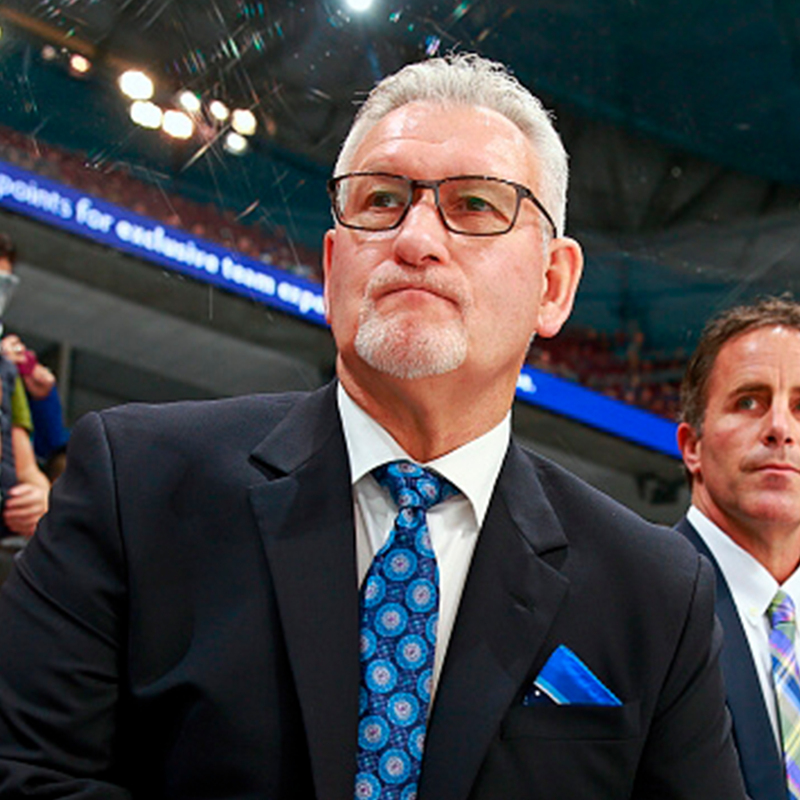 But it was over the next four decades that Glen established an almost unparalleled level of success with the Edmonton Oilers, and with teams representing Canada in international competitions. Playoff coaching record: 89 wins, 37 losses. Along with his successes in Edmonton, Glen was behind Team Canada’s bench for the 1984 Canada Cup championship; was part of the management team for Team Canada at the 1987 and 1991 Canada Cups; 1994 IIHF World Championship (gold medal); and 1996 World Cup (finalist); and the NHL for the 1987 Rendezvous series with Soviet all-stars. He was also involved with Team Canada at the 1998 Winter Olympics. Since 2000, Glen has been at the helm of the New York Rangers, serving as President, General Manager (until 2015), and two stints behind the bench (33 wins), which took his overall wins to 497 (19th all time). Brent, Brian, Darryl, Duane, Gary, Rich, Ron, Grace and Louis. For any hockey fan in central Alberta, and especially in their hometown of Viking, the last name isn’t necessary. 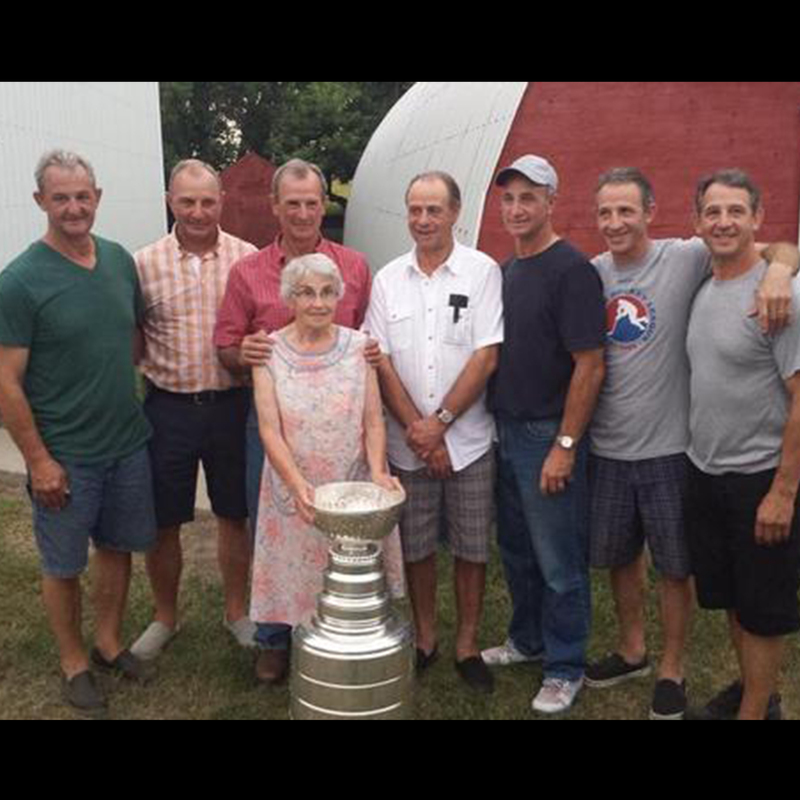 They are, simply, the best known, most recognizable and most famous hockey family in the world. And for residents of central Alberta, the Sutter Fund has played a significant role in providing financial support to youth athletic associations and other groups. The Sutter Fund was created in 1996, and funds are raised through the annual Sutter Fund golf tournament. Six brothers played in the National Hockey League. Four of them went on to become coaches and/or general managers. They all got their start in minor hockey in Viking, and continued on to play junior hockey in Red Deer. Gary, reportedly the best hockey player of the family, ended his hockey career after playing junior to work on the family farm. Regular season: 4,994 games played; 1,320 goals; 1,614 assists; 7,224 penalty minutes. Playoffs: 603 games played; 122 goals; 153 assists; 1,170 penalty minutes. Overall: 81 NHL player seasons, six Stanley Cups as players (Duane four, Brent two, all with the New York Islanders), and two (so far) as a head coach (Darryl, LA Kings, 2012 and 2014). Brent: played 18 NHL seasons, Islanders (1980-91) and Chicago (1991-98); coached Team Canada to back-to-back World Junior Hockey Championship gold medals (2005, 2006) with an unbeaten record both years; Head Coach and GM of the Red Deer Rebels (1999-2007), including a Memorial Cup title in 2001; Head Coach of New Jersey Devils (2007-09) and Calgary (2009-12); returned to the Rebels in 2012, and continues as coach and GM. Brian: played 12 seasons in the NHL with the St. Louis Blues (1976-88); Head Coach St. Louis (1988-92), Boston Bruins (1992-95), Calgary Flames (1997-2000) and Chicago Blackhawks (2001-04); Jack Adams Award recipient as NHL Coach of the Year (1990-91); Director of Pro Personnel with Calgary; coached Bentley Generals to the 2006-07 Allan Cup title; St. Louis retired his number 11 in 1998. Darryl: played eight seasons in the NHL, all for the Chicago Blackhawks (1979-87); NHL coaching career includes Los Angeles (2011-2017) including Stanley Cup championships in 2012 and 2014, Calgary (2002-06), San Jose Sharks (1997-2003), and Chicago (1992-95), and an International Hockey League Turner Cup title with Indianapolis (1990); General Manager Calgary (2003-10), which included hiring brother Brent as Head Coach in 2009. Duane: played 11 years in the NHL, with New York Islanders (1979-87) and Chicago (1987-90); coached the Florida Panthers (2000-02); currently a scout with Edmonton Oilers. Rich: 13 NHL seasons as a player with Pittsburgh Penguins (1982-84), Philadelphia Flyers (1983-86), Vancouver Canucks (1986-90), St. Louis (1990-93), Chicago (1993-95), and Toronto Maple Leafs and Tampa Bay Lightning (1994-95). Drafted 10th overall by Pittsburgh in 1982. Also part of the 1983 Lethbridge Broncos Western Hockey League championship squad. Ron: 19 NHL seasons as a player with Philadelphia (1982-91), St. Louis (1991-94), Quebec Nordiques (1994), Islanders (1994-95), Boston (1995-96), San Jose (1996-2000), and Calgary (2000-01). Drafted 4th overall in 1982 by Philadelphia, just six spots ahead of Rich. Grace Sutter, the boys’ mother still resides in the Viking area and is active in church and her family activities. The brothers’ father, Louis Sutter, died on February 10, 2005, at the age of 73, following a lengthy illness. And the next generation of the Sutter family is already making its mark at various levels of hockey across the continent. Brandon, son of Brent, plays for the Vancouver Canucks. Brett, son of Darryl, is with the Minnesota Wild. Brody, son of Duane, is with the Carolina Hurricanes. Lukas, son of Rich, was drafted by the Islanders. Shaun, son of Brian, was drafted by the Calgary Flames and now works in hockey management. Merrick, son of Brent, works in hockey management with the Rebels.